Der 31 Juli rückt näher- und damit auch die Möglichkeit, bereits drei Monate im Vorraus pottermore benutzen zu können. Passend zu diesem Termien hat pottermore jetzt Fragen von Fans beantwortet. So wissen wir jetzt unter anderem, dass pottermore kostenlos sein wird (natürlich mit ausnahme der Artikel im onlineshop) und noch einiges mehr. Wer will kann sich das interview ganz durchlesen. Will Pottermore be available in multiple languages? Yes. Initially, Pottermore will be available in English, French, German, Italian and Spanish. We are aiming to introduce more languages in the future – including Japanese and Korean later this year. You’ll be able to keep track of language availability here on the Insider. Yes, access to Pottermore will be completely free; you won’t have to pay anything to use the site. The Pottermore Shop will have items in it that you’ll be able to buy, but choosing to purchase something – or not – won't affect your progress through the story as the Shop sits outside of the online reading experience. Can you please explain what you mean by 'online reading experience'? How much will I, as a Pottermore user, be able to affect the story? After all, hasn't Harry's story already been told? The best way to think of Pottermore is as an interactive, illustrated companion to the books. J.K. Rowling wanted to create a site where her stories could live on and where readers could explore them in a new way. In addition to discovering new material from J.K. Rowling about Harry’s world, you’ll be able to interact with key story Moments (the Sorting Hat sequence, for example) and upload your own comments, thoughts and artwork for all the characters, objects and places that you come across. So Pottermore isn't a massively multiplayer online role-playing game like World of Warcraft, or a social network game like Farmville? No. While there will be some simple games you can play (you'll be able to brew potions, for example), Pottermore is very much about the books: being able to experience Harry’s story in a new way and discover all the additional information that J.K. Rowling has written. Isn't there a House Cup that we compete for by earning points? Yes, there is. As you progress through the story you'll also be able to earn house points – and once you get to the end of the first book you can carry on earning points to help your house win the House Cup. Would you say Pottermore is a social network for fans of Harry Potter? Not really. Pottermore isn’t trying to compete with sites like Facebook or the Harry Potter forums and fan sites that are already out there. Once you’ve signed up to Pottermore you’ll be able to find and invite your Facebook friends (if you're over thirteen) and leave comments in your house common room and the Great Hall, but Pottermore isn't a social networking site where you can share personal information or chat in forums. I saw the Sony logo at the top of Pottermore.com. What's Sony's involvement with the site? Sony is the primary partner of Pottermore. They have been consulted and involved in the development of the site experience and will offer a range of products and services to Pottermore users. Is Pottermore the Harry Potter encyclopedia? J.K. Rowling has written exclusive new material especially for Pottermore giving unique insights, back stories and additional information about the characters, places and objects in the Harry Potter series. For now, Pottermore is the only place you’ll be able to find new information from J.K. Rowling about Harry’s world, and we'll be releasing this material as each of the seven books appears on the site. Once I've been sorted, will I be able to change houses? J.K. Rowling has created a series of questions for the Sorting Hat, and how you answer these questions will determine which of the four houses you’ll be in. Once you've been sorted, you won't be able to change; the Sorting Hat's decision is final! What formats will the ebooks be available in? Will I be able to read them on my iPad/Sony eReader/Kindle…? The Pottermore Shop is due to open in October. Our aim is to offer the ebooks in an as many formats as possible. We’ll provide more information closer to the time. I’ve submitted my email to the Pottermore website – does this mean I’m registered with Pottermore.com? Not yet. If you’ve submitted your email address to the site, we'll use it to let you know when site registration is open to everyone. In other words, once you’ve received an email from us, you'll be able to visit Pottermore.com and complete the registration process. What's going to happen on 31 July? We don't want to ruin the surprise but something will be happening on Pottermore.com on 31 July. 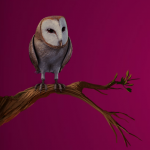 Come back to the site, or keep an eye on the Pottermore Insider (http://insider.pottermore.com) and our Pottermore Twitter feed for details. Is the Pottermore Owl Twitter account official? No, it's not – but we kind of wish we'd thought of it! Thanks to all the sites that helped us collect the questions for this post: Blog Hogwarts, Clube do Slugue, Harry Potter Xperts, HPANA, The Leaky Cauldron, Mugglenet, Portus, SnitchSeeker, and L'Univers De Harry Potter.